Here in the UK you’ll find that students have already been back at school for a month. The new pencil cases and all that posh stationary is already looking worn and, although it’s not always fun, education is an all-important part of your life. With the aid of a smartphone we’ve already seen ways that people can make learning a little easier. Some have used services to help them get through exams whilst others have looked a the best essay writing service in UK. But the most recommended way, if you’re going to use a smartphone, is to use studying apps. 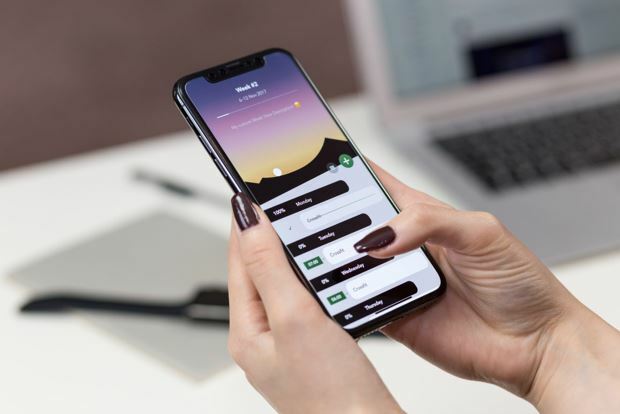 These range from apps which will temporarily block distracting messages and notifications, to study planners, note-taking apps, word processors, dictionary apps, learning apps, organizers, cloud storage apps and calculators. 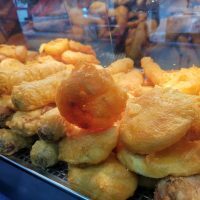 However, they only work if you have a high level of self-discipline. You need to use your phone in the right way as it’s all too easy to start browsing Facebook. Look at your watch and, suddenly, you’ve wastd an hour doing nothing. App blockers and time management apps such as Smarter Time will keep you focused on your studies and revision if you’re cramming for an exam. 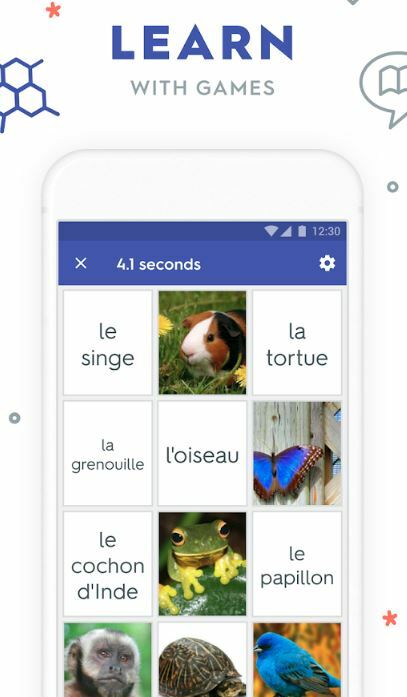 Apps like this will help you learn faster, study better, and hopefully get better grades. Geometry might not be your forte, but don’t worry! 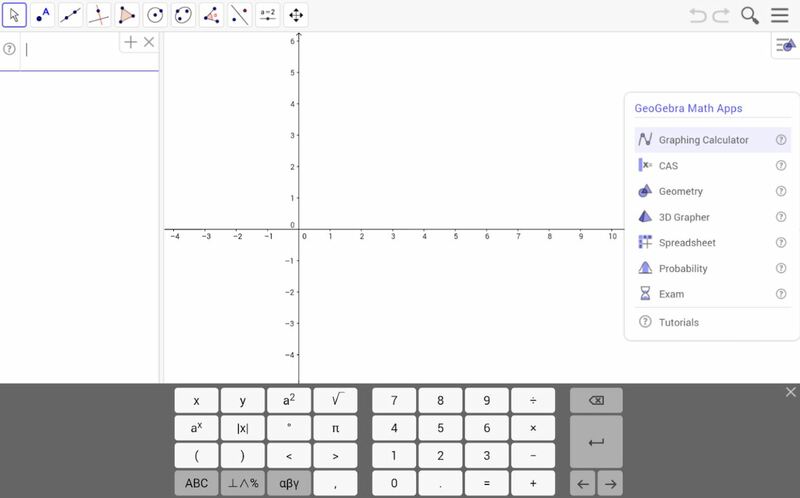 This tool, which also works on a desktop too, can help you plot graphs from given equations. It also does the reverse – converting a graph into an equation. Yes, there’s other ways to find answers, but it could take longer. 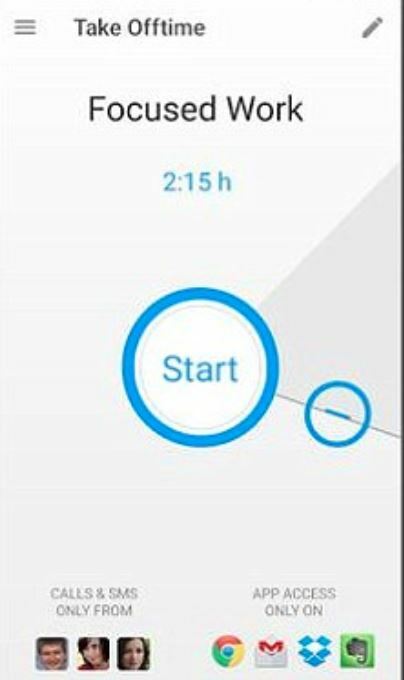 With GeoGebra Graphing Calculator on your iOS or Android phone, your geometry-related tasks will only take a few second. All you have to do is feed the tool with the given variables (up to 3) and a graph is plotted instantly. It doesn’t matter if the question involves inequalities, exponential, or absolute values, the calculator does it all. Also, you’ll find inbuilt programs for drawing tangents, lines, and circles. Another app that’ll keep you free from any distractions so that you’re free to concentrate purely on studying. Keeping up-to-date with friends seems to always seem more important, so this app will block updates from particular apps for a certain period of time. This means you can have quality study time away from your hectic life. All you need is to activate OFFTIME and then you can blacklist the apps that you won’t need whilst studying. Later, when you’ve done your work, you can whitelist them again. There is also a section called “My Day” where you can analyse where you normally waste time. It offers some inspirations on how to better use your smartphone during the day too. Scribbling notes is the old way of doing things. Now you can use this tool to organize your notes in a single place. Add audio files, attach documents, include links, and checklist. The good news is that there is a free version that allows you to sync and share notes across devices. You also get to search for particular texts in your image files and clip various web pages. There is a premium version called Evernote Plus which comes with the unlimited ability to sync files. This costs $34.99 per annum. Make sure you have installed Evernote on your mobile phone if you want easy mobile fun like composing, clipping, and bookmarking notes. This one is an award-winning app available in two versions: Pro Legend and iStudiez Lite. It enhances and builds on the management of a student schedule. iStudiez Lite can cover an entire term and up to 5 different courses each with 15 classes, 15 assignments, 2 holidays, and 5 lecturers. If you feel that the Lite is not sufficient, you can upgrade to the Pro Legend version. This has no limits but you will need to pay $9.99 on Mac and $2.99 on iOS devices. iStudiez is perfect for students who love planning for everything. 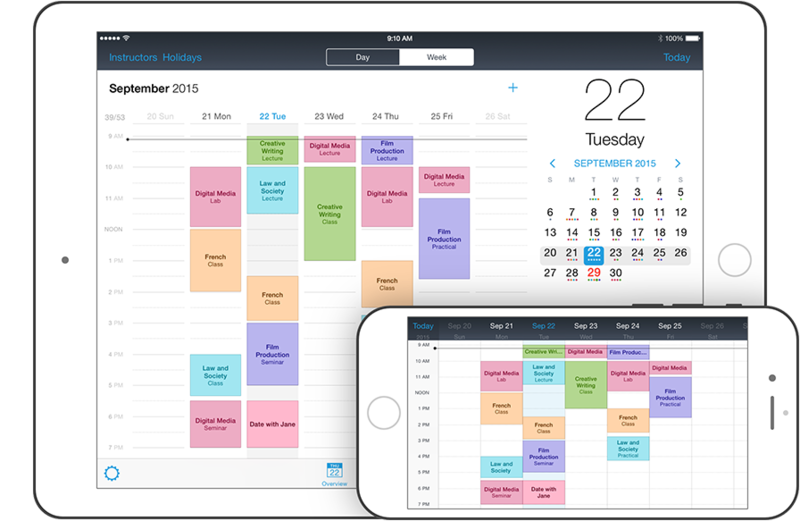 A school-oriented calendar and to-do list features are beautifully incorporated into the app. It allows you to manage your instructors’ contact details, class schedules, upcoming tests and exams. This eliminates the need for paper flash cards. Let’s face it, they’re so outdated anyway. You can use study sets from others or build one for yourself. The best thing about Quizlet Go is that it provides endless diagram topics and an unlimited study set. All the information you need to score the highest grade is found here. There’s a free version or a paid-for one called Quizlet Plus, which is $19.99 per year. Do you like jotting down your notes when studying rather than typing them on your PC? MyScript Smart Note is a smart tool that recognizes the handwriting of the user and can then type it out in multiple languages. It doesn’t matter if your handwriting looks like a scribble (mine does), the app will still understand it. 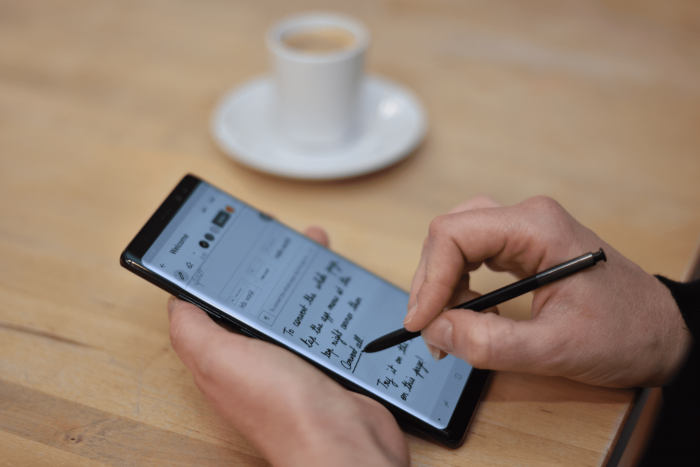 What’s more, you can edit your own handwriting using unique gestures and palm-rest feature. If you want to add mathematical equations, you simply switch to the drawing mode and insert whatever image or file you like from any cloud storage system in your phone. For both Android and iOS, MyScript Smart Note is absolutely free. An upgrade version can give you unlimited features including backups, more pages, and notebooks. OK, you might not need 256GB. How about 128GB for less than £20?